Judge Sir Peter Openshaw has told the six men and six women he will accept majority verdicts of at least 10-2. 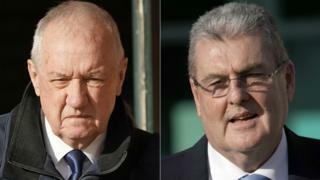 Former Ch Supt David Duckenfield, 74, denies the gross negligence manslaughter of 95 Liverpool fans. Ninety-six people were killed in the disaster at the FA Cup semi-final in Sheffield on 15 April 1989. The jury has spent more than five and a half days deliberating after hearing 10 weeks of evidence. Before jurors retired, Sir Peter advised them a "full and frank exchange of views" was needed to reach a true verdict.